When 34-year-old Fernando Adame left corporate America to launch Final Cut Hair Studio, he knew success would depend on how – and if! – his previous retail experience translated to the hair industry. Fernie might be new to hair, but he came to the industry with plenty of experience in branding and, more generally, business development. The stylist grew up in a border town, and says he knew from the moment he started braiding his mother’s kitchen mop that someday he’d be a hairdresser. That someday was still a ways off, though. That initial experience wasn’t enticing to the teenager, whose career in hair was curtailed when he opted for a traditional college over beauty school. That’s when Fernie returned to his childhood passion, this time diving headfirst into the unknown, leaving a secure – and lucrative – job to enroll in beauty school full-time. “I almost quit after the first five minutes of beauty school,” Fernie admits. “I felt like I was moving backwards; all of the other students were so much younger [than me],” he says. Instead of giving up, Fernie vowed to focus on the task at hand; ten months later he’d clocked his hours. “I got licensed in 2014, and was introduced to Sola that April,” he recalls, explaining that he briefly shadowed another hairdresser who had a few suites at Sola Salons. That’s how he learned about the novel concept of hassle-free salon ownership. With his background in business, Fernie knew he could excel with his own salon; later that year he had the opportunity to prove it when he leased a suite at Sola Salons Uptown Albuquerque. Before opening shop, Fernie knew he needed to develop a solid business model detailing who he’d attract to his chair, and how he’d do it. The latter was largely about developing a brand, which meant building a website and tapping into social media, too. It’s a job that has paid off in the long run: A distinct web presence allowed Fernie to establish his brand. And, he’s continued to grow that brand online. Among other things, Fernie posts daily hair inspiration messages to his Facebook page, and he uploads before/after representations onto his website. “Around one o’clock in the afternoon,” he says, “I go down the followers in my [Facebook] feed, and I like all of their content for a few minutes.” That, Fernie explains, enhances Final Cut Hair Studio’s visibility — and, in turn, its brand. 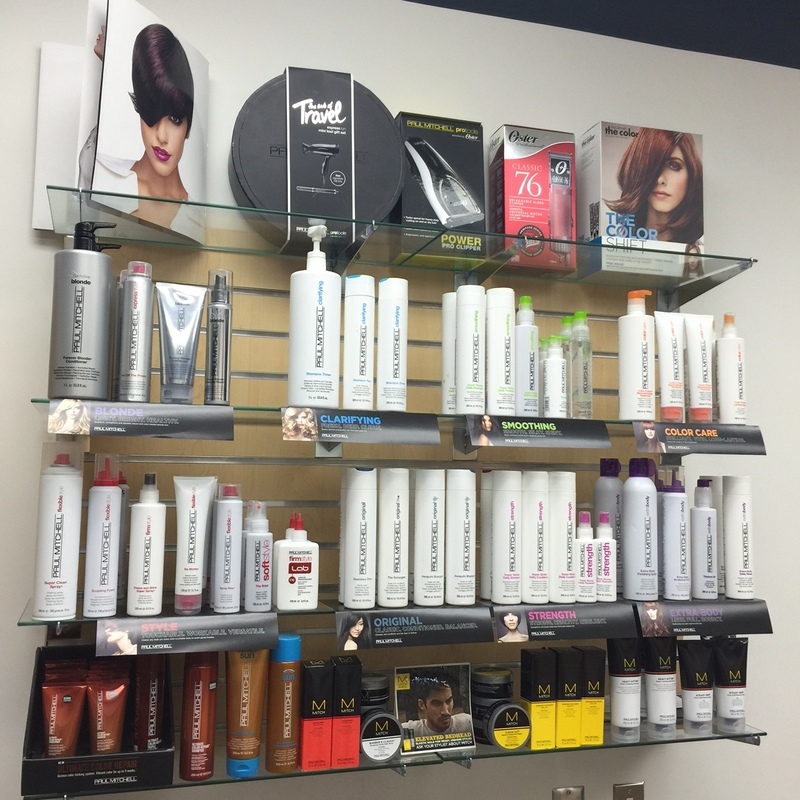 Speaking of brands, Fernie researched products thoroughly, and ultimately landed on Paul Mitchell when it came time to stock his shelves and purchase a wet color chemical line. Paul Mitchell is a trusted household name, and that, of course, was attractive to the stylist; what sealed the deal for Fernie, though, was the local support Paul Mitchell offers its stylist via area educators. Fernie partnered with StyleSeat, too, and laughs about how he has “probably exhausted that app.” Beyond simplifying booking, StyleSeat produces dashboard statistics that help Fernie learn more about his individual clients and their needs. Fernie taps into email to promote his brand, too; at the day’s end, he sends email recaps to clients, with notes about services rendered — sometimes even a photo. In the email, clients are asked to share with Fernie their birthdates, connect with him on StyleSeat, review him on Yelp and follow him on Facebook or Instagram. From zero clients, Fernie is now 94 percent booked, he says, thanks in large part to his business know-how. In fact, Fernie has even become a local guru, and has run five salon business classes, where he talks to young stylists about how to get started.